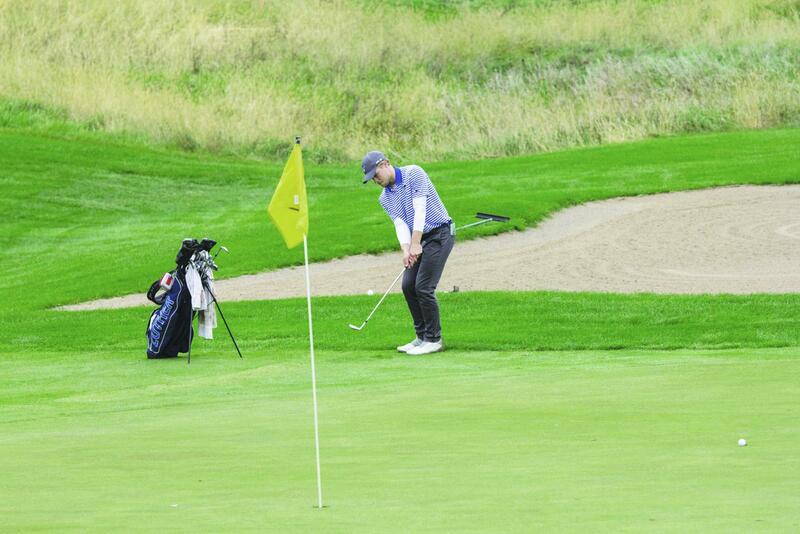 Ben Phipps (‘22) putts at the Viterbo University Ronnie Eastman Invitational on Oct. 1-2, 2018. Over spring break, the Luther Men’s Golf Team traveled to Winter Garden, Florida where they practiced and competed outdoors for the first time of their spring season. 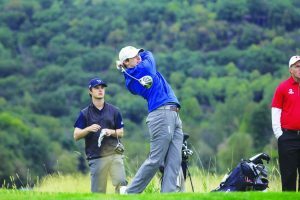 On Sunday, March 24, they played a match at Crooked Cat Course at Orange County National Golf Resort against Farmingdale State University of New York, a competitor they have played in the past. The course measured 6,927 yards and had a par of 72. Luther won the dual 306-319. Luther golfers Ben Phipps (‘22) and Joe Fewer (‘19) tied for first place golfing a 75. Spencer Horst (‘19) tied for second place golfing a 76. Head Men’s Golf Coach Scott Fjelstul (‘83) accounts some of the success of the team to their brand new indoor practice facilities, located in a renovated racquetball court in Regents Center. Following competitions in the fall, Horst said the team was extra prepared due to these practices throughout the off-season. Horst saw the fall practice pay off when he golfed an eagle hole at 137 yards during practice in Florida. The indoor practice facility was installed in the fall of 2018, and the men’s and women’s teams are already seeing the positive impact. Fjelstul has been coaching for 31 years and has yet to experience anything like it. Going into the trip, the golfers did not waste any time worrying about their opponents. They were motivated by their hard work from the winter and by the opportunity to escape the Iowa snow and play outside for the first time this spring. Phipps is also excited for the rest of the season. To Phipps, the spring break trip is a spring board to the remainder of the season, coming off practices at the prestigious Arnold Palmers Bay Hill course in Orange County, Florida. Joe Fewer (‘19) swings at the Viterbo University Ronnie Eastman Invitational on Oct. 1-2, 2018. The week of playing and practice gave the team a chance to focus on the sport and work hard outside of the matches. These ambitious goals might not be so out of reach for the team, according to Fjelstul. In the past three years, the team has won the Conference Championships twice, both in 2016 and 2017, and they placed third in 2018. After the team returns to campus, they will prepare for the Loras Invitational on Sunday, April 7 and Monday, April 8 in Peosta, Iowa at the Thunder Hills Country Club.